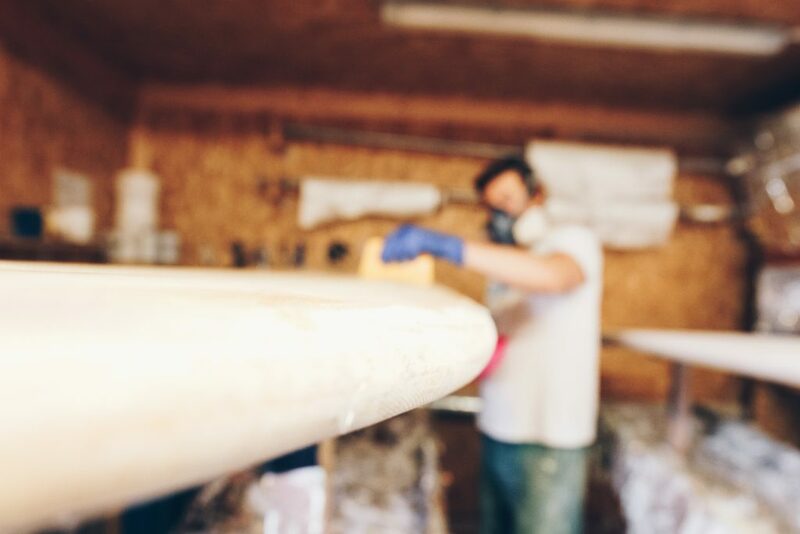 “I wanted to change something and offer an alternative to conventional surfboards. People should have a choice.”. Stefan’s passion for wooden boards came in 2005. He did an internship in Ecuador at a cocoa plantation. He really wanted to surf but he couldn’t find an affordable surfboard, not even as used board – as regular board prices were rising drastically after CLARK FOAM decided to shut down its business – Clark Foam supplied 90% of the blanks in the U.S and about 60% worldwide – Stefan started to question the materials that surfboards are made of, just to find out that it is a poising mix of chemicals, mixed together to be a surfboard at some point. 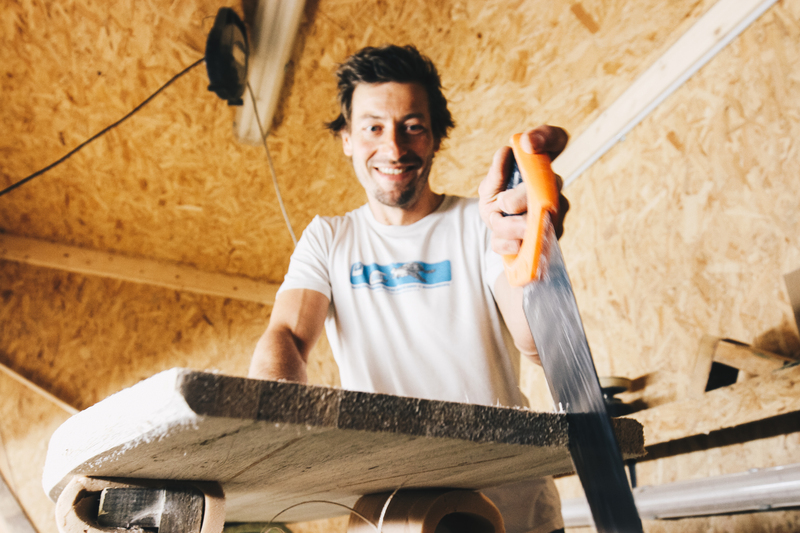 Stefan started to look for alternatives and found two shapers in Ecuador, who did their own wooden boards. 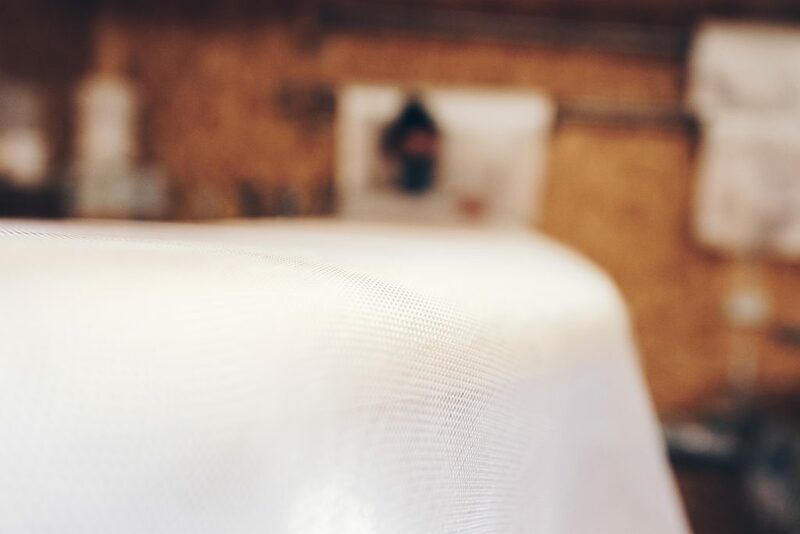 During that time wooden boards were a ‘delicatesse’ and not seen anywhere – Stefan only knew them from old Hawaiians pictures during previous times, when the surf industry started to develop. Together with the shapers in Ecuador, Stefan made his first board out of woods. After his first surf, he knew, that this is what he will be riding in the future. 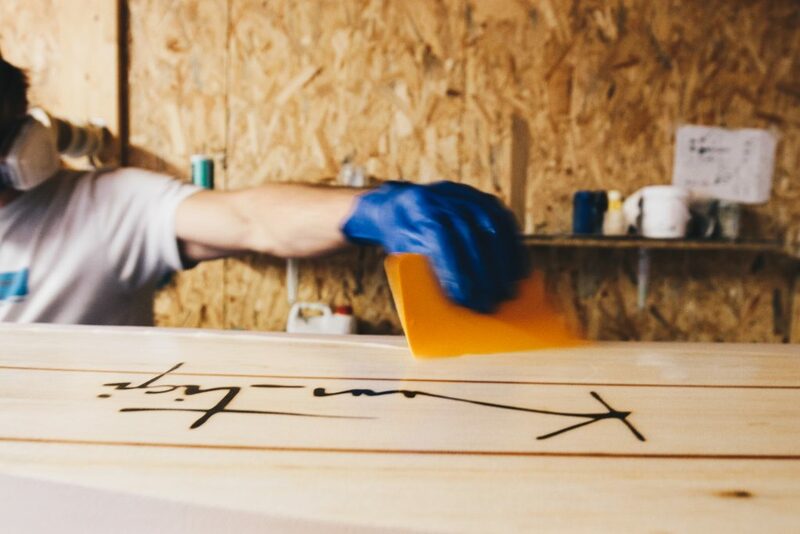 Back in Europe, he started his own surfboard brand, Kun_Tiqui boards, wooden boards built with Ecuadorian woods and natural resin. He passion for wooden boards and for minimizing ecological footprint are still his driving motivators and more than 13 years later he is not only shaping his own boards, but he also owns his own shop, called ECOSURFSHOP in Loredo, Spain. In his shop, you’ll find a great selection of ecological and sustainable brands that take care of our planet Earth. You’ll find products from Patagonia, Picture Organic Clothing and lots of other brands and products. If you want to test the boards, you can pass by the Ecosurfshop and rent them for a session. Have fun and enjoy the ride. We did it as well and tested his mini simmon… and it’s amazing!